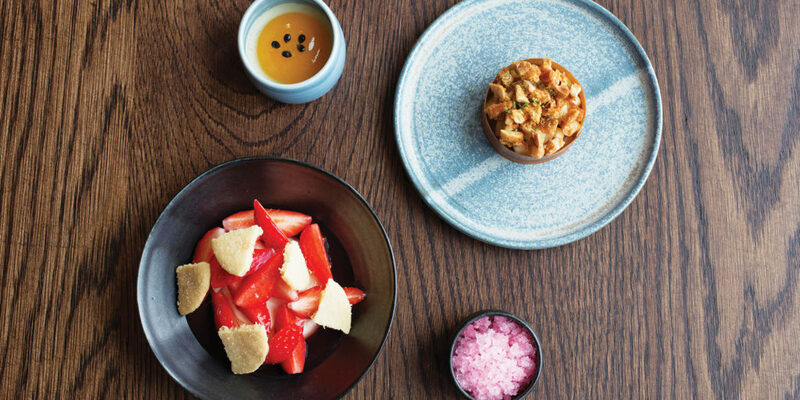 Recently awarded the Best Restaurant in the UK by the Waitrose Good Food Guide 2018, Nathan’s commercial success has seen him expand his establishments across Cornwall and beyond to London and Dubai. 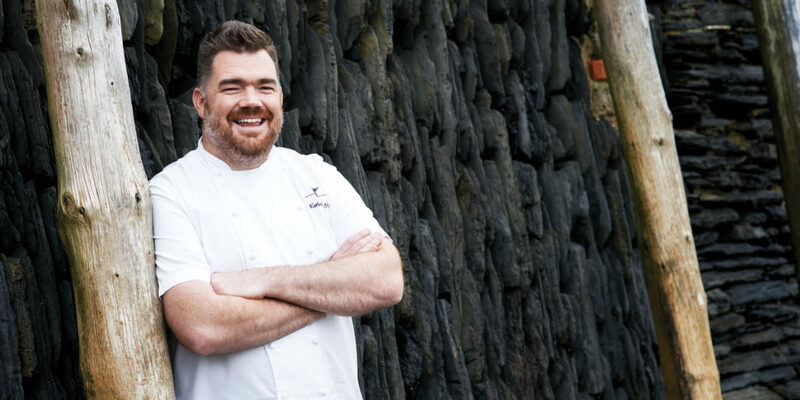 However, he is also passionate about delivering specialist training to the next generation of professional chefs, and in 2012 set up his own academy in conjunction with The Cornwall College Group, Academy Nathan Outlaw at Cornwall College. Nathan began his culinary journey by studying for the very same qualifications that the students require to enter the Academy: “Although, I only reached my NVQ Level 2, something which both lecturers and students tease me about and that I should come back and do my level 3 here!” laughs Nathan. “I was too keen to enter the world of work and after two years at college I went straight into the industry.” With a resume that begins with working under Peter Kromburg at the Intercontinental Hyde Park Corner and continued with positions alongside Gary Rhodes and two Michelin star chef Eric Chavot, Nathan garnered a wealth of experience in French/British cuisine. Nathan always had a connection with Cornwall, holidaying here as a child and returning on surfing trips as a young adult. It made sense that he combined his passion for Cornwall and working with fish and seafood and so he literally got on a train and ended up in Padstow! “Paul Ripley, who was head chef for Rick Stein, was one of the first people I met and has become a friend for life. I was lucky enough to also work under Rick, just as he exploded on to the scene and the two years I spent working at The Seafood Restaurant were probably the most significant of my career. 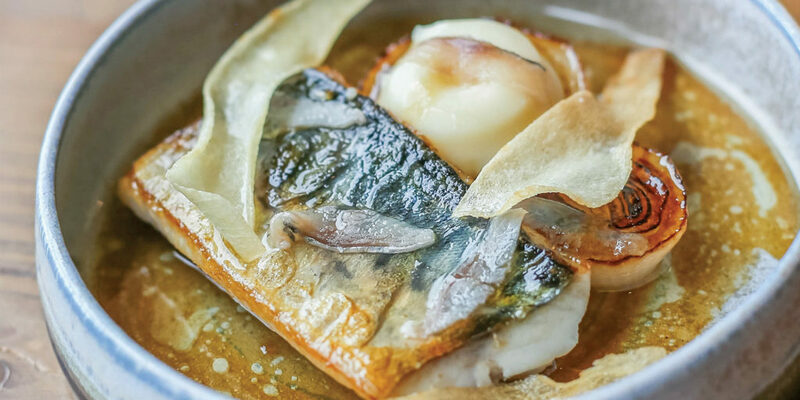 It was Rick that was most influential on my thoughts about food and the whole dining room experience.” Opening his first restaurant in 2003 at the tender age of 24, Nathan’s expertise, experience and enthusiasm is invaluable to his Academy students. A few days later, we’re invited back to the college to meet a group of level two students who are only five weeks into their course. We’re informed that Nathan isn’t necessarily looking for students who have the highest level of skill, but those who have the passion and drive to learn. Any learners from each of Cornwall College’s sites can apply, and while it’s not compulsory, it certainly looks fantastic on their CV and helps give them the aspirational boost needed to go above and beyond in the catering industry. Jake, Matt and Ben each volunteered to help Nathan cater for the Academy’s fifth anniversary event, and each are currently working in the industry as well as through their course. Each have different levels of experience, and different thoughts about the future, whether it’s moving to the city and making the most of the money, or working in Cornwall and reaping the rewards of the rich, local produce. 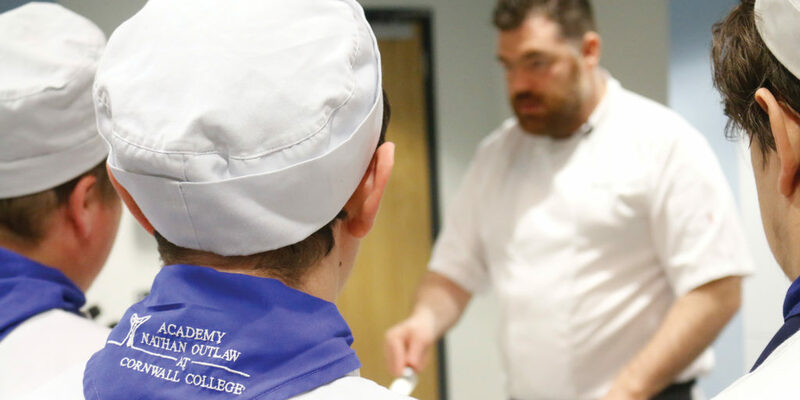 The college’s facilities are astounding and as we make our way around the many kitchen classrooms, including a bakery and a patisserie, it’s clear to see that there’s a passion for the industry being fed into every aspect of what the students do. Indeed, they’re not just learning the skills needed to do the job, they’re learning how to deal with the pressures of an industry that’s famously high-octane. For anyone who has a passion for catering, whether it’s cooking or hosting, Cornwall College promises to hone that passion into a set of skills that will form the basis of a long, prosperous career, whether in the city, abroad, or at home, here in Cornwall. "To succeed in hospitality you need confidence and that was part of my reason for launching the Academy."